The owner of a head shop and hookah lounge in downtown Bangor is facing federal drug and money laundering charges. Christopher Ruhlin, 48, of Holden, owner of Herbal Tea & Tobacco, located at 44 Main St., and his employee, Terrence Sawtelle, 48, of Bangor, were indicted Sept. 14 by a federal grand jury on one count each of conspiracy to manufacture and distribute marijuana. Ruhlin, who has owned the shop since 2011, also was indicted on two counts of maintaining a drug-involved place and seven counts of structuring bank transactions to avoid reporting deposits of $10,000 or more to the U.S. Department of the Treasury. The government also is seeking to seize the Frankfort and Bangor properties where marijuana allegedly was grown and sold and the cash Ruhlin allegedly made selling pot. Maine voters approved marijuana for recreational use in November, seven years after endorsing the use of medical marijuana. President Donald Trump’s Attorney General Jeffrey Sessions has said he would prosecute marijuana dealers since the drug still is illegal under federal law. Ruhlin’s attorney, Jeffrey Silverstein of Bangor, said that his client would surrender to the U.S. Marshal Service and make his first court appearance Tuesday in federal court in Bangor. The Maine U.S. Attorney’s Office on Friday declined to comment on the case. It is the practice of that office not to comment until cases have been resolved. Under Maine law, the more than 50 marijuana plants Ruhlin and Sawtelle allegedly grew and sold would be illegal. Maine’s recreational pot law allows people to possess 2.5 ounces of processed marijuana or six flowering marijuana plants, 12 immature plants and unlimited seedlings, and possess all the marijuana produced by the plants. Rules about the retail sale of marijuana still are being written. Agents with the U.S. Drug Enforcement Administration seized about 400 marijuana plants, 295 marijuana root bulbs, processed marijuana, receipts from a garden center totalling about $25,000 and other items on May 12, 2016, when they raided property on North Searsport Road in Frankfort where Ruhlin allegedly grew and obtained marijuana, according to court documents. Three months later, 23 containers of processed marijuana were seized from the 13 Owls Club smoking lounge, adjacent to Herbal Tea & Tobacco, court documents said. 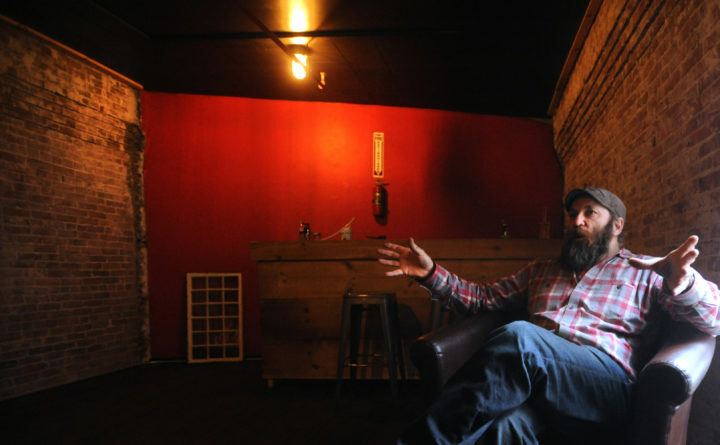 Ruhlin is not licensed with the Maine Department of Health and Human Services as a medical marijuana caregiver, court documents said, but his lounge offered a space for patients to smoke outside of their homes, which has been legal since 2013. The indictment was unsealed Friday after Sawtelle was arrested and made his first court appearance. He pleaded not guilty to the conspiracy charge and was released on $5,000 unsecured bail. Sawtelle’s attorney, David Bate of Bangor, declined to comment on the case. If convicted, Ruhlin and Sawtelle face up to 20 years in federal prison and a fine of up to $1 million on the drug conspiracy charge, the most serious charge.